University of Plymouth has signed a pioneering partnership agreement with NATO’s Maritime Operational Training Centre that will lead to the launch of a new masters degree in strategy and maritime security. The programme, which will be delivered jointly by the University and the NATO Maritime Interdiction Operational Training Centre (NMIOTC), will enable serving military personnel from the UK, from NATO and other partner countries to gain operational insights and knowledge about the threats facing the international community in maritime security. 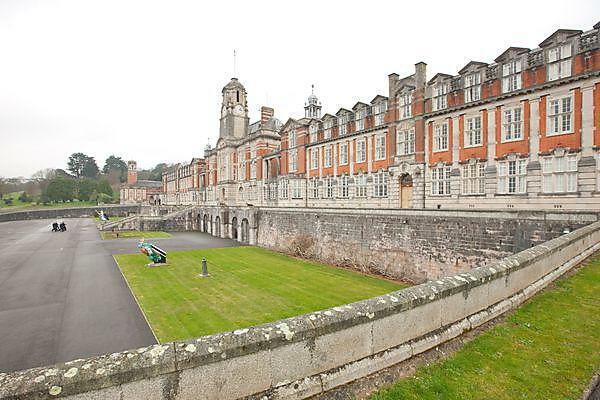 It is believed to be the first time that a university has entered into a collaboration with a NATO training and education facility in this field, and it builds upon Plymouth’s existing partnership with the Britannia Royal Naval College (BRNC), with whom they deliver academic education to officers and cadets. NMIOTC is located in Souda Bay, Crete, and is the only NATO Education and Training Facility (NETF) focused on maritime education and training, which it does to enable armed forces to better execute surface, sub-surface, aerial surveillance, and special operations activities in support of maritime interdiction operations. The partnership was formally sealed with the signing of a Memorandum of Understanding by Professor Nikolaos Tzokas, Executive Dean of the Faculty of Business, and Commodore Anastasios Tserkezoglou, Commandant of NMIOTC. The MA Applied Strategy (Maritime Security) will launch in September, next year, and will contain core modules on war and strategy; foreign policy analysis and conflict resolution; and enhancing cognitive capability: learning, thinking, and communicating in strategic studies. There will also be a number of elective modules on international and maritime security, such as countering terrorism, cybersecurity, and mission design. The first module on contemporary maritime threats is scheduled to be taught at NMIOTC’s headquarters, next October. Students enrolled on the programme will be able to take it full or part-time, and there is also an option to defer completion for up to five years to take account of the demands of potentially being sent out on operations. The partnership will also pave the way for a series of international workshops, and research fellowships for the Royal Navy, the Royal Marines and allied personnel. Dr Fotios Moustakis, Associate Professor of Strategic Studies, and Director of the Dartmouth Centre for Sea Power and Strategy at the University, is the project lead for the new postgraduate course.